Zoom in on the second page, and you’ll see a before and after photos. I was confused at first but the picture is two people with a before and after photo, not 1 person in 4 photos. strange theory but interesting nevertheless. » strange theory but interesting nevertheless. » thanks for posting it. 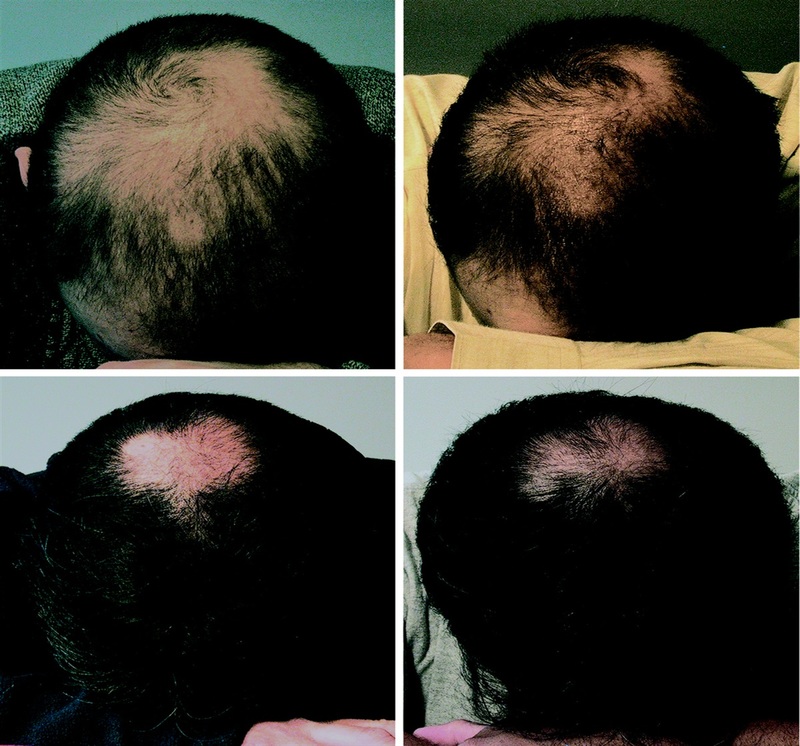 Treatment of Male Pattern Baldness With Botulinum Toxin - Full Text View. That’s very interesting. I would be curious to see where on the head the injections were made exactly and where the new growth was seen. I wonder in there are docs who’ll do this type of thing off label? » injections were made exactly and where the new growth was seen. » I wonder in there are docs who’ll do this type of thing off label? There are a few guys on a german board(alopezie.de) who tried the “AC-Therapie” and all of them got the same result: nothing !!! AC means alopecia contentionalis, based on scalp muscle tension. Some docs offer this therapy since a few years, but it seems that it is just another snake oil. » » injections were made exactly and where the new growth was seen. » » I wonder in there are docs who’ll do this type of thing off label? » “AC-Therapie” and all of them got the same result: nothing !!! » AC means alopecia contentionalis, based on scalp muscle tension. » just another snake oil. I have always thought that increased bloodflow would benefit hairgrowth and I will look more into botox for increased hairgrowth - that´s it increased hairgrowth not reversal of baldness (in other words I don´t belive that any amount of blood flowing through the scalp will give you back hair once it´s gone).